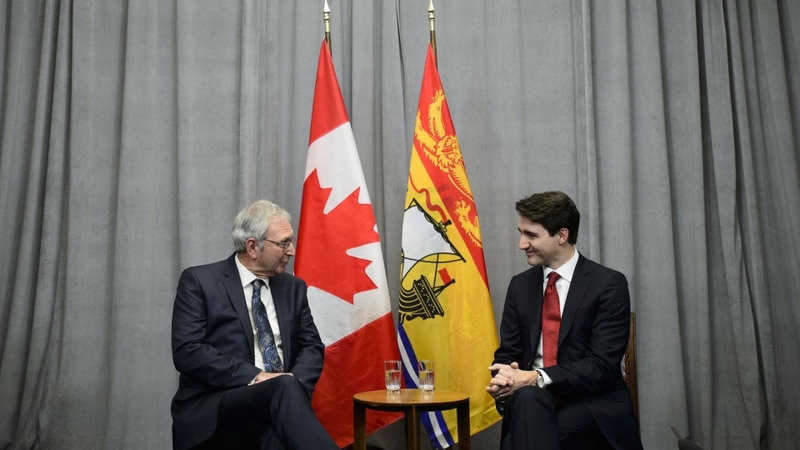 OTTAWA -- New Brunswick Premier Blaine Higgs says his latest meeting with the prime minister produced little or no progress on major issues facing his province. Higgs said New Brunswick industries aren't getting credit for the work already done to reduce emissions. He added the federal backstop -- the tax Ottawa will impose in provinces without their own carbon taxes -- puts his province at a disadvantage, and if it remains in place, New Brunswickers will be paying the highest tax on gasoline by 2022. "We are ahead of the game in terms of our overall emissions, our industries are ahead of the game in terms of their environmental standards and yet with the imposition of the plan -- the backstop being imposed upon us -- we're not seeing that benefit," Higgs said following the meeting. "We would like to have the same consideration as Saskatchewan is seeing, as Newfoundland is seeing, and many of the other provinces in relation to recognizing where industry is today. We didn't get an agreement on that." "There are always going to be things we have differences of opinion on but my approach is to always look at ways we can work together," Trudeau said. "I guess there's work to be done as we consider particular projects but we've got to set personal opinions aside. I don't want to get caught up in this year being an election year," Higgs said.